Cough…sneeze…and wheeze | Live Healthy S.C. Some of us suffer more than others this time of year; allergies, coughing, sneezing, and running nose. But once allergy season subsides, many of us still have breathing difficulties. You might feel irritation in your throat, coughing- even wheezing. Whether you realize it or not, it could be due to ground-level ozone. 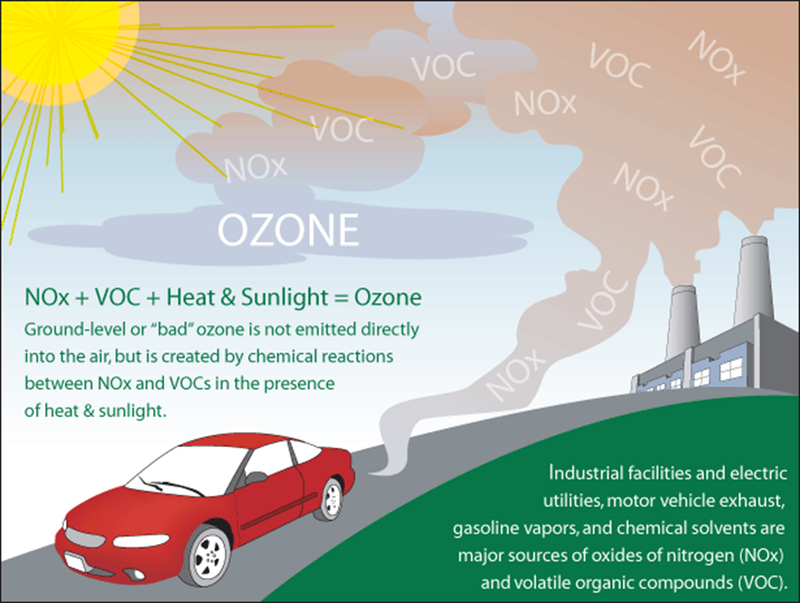 Ground-level ozone is one of the biggest parts of smog, and it’s usually worse in the summer months. When ground-level ozone is high, you might experience some of those breathing problems. To help keep you aware of the health dangers associated with ozone, we recently began issuing daily ozone forecasts. Ozone is most likely to affect children, those of us with asthma or other respiratory problems, and adults who work or exercise outside. To help you better understand ground-level ozone, we recently filmed the following video with DHEC Environmental Health Manager Jack Porter. Check out the EPA’s EnviroFlash webpage: www.enviroflash.info. This entry was posted in Uncategorized and tagged ground-level ozone, ozone alert day, ozone forecasts, smog on April 1, 2015 by SC DHEC.